Chillers and heaters are used to keep water temperatures constant in a hydroponic system. Keeping a consistent temperature can make all the difference for plant success and having the right tools to control spikes in temperatures is essential. 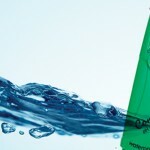 Water temperature is directly related to how much dissolved oxygen a hydroponic system can support. As temperatures rise, less and less oxygen can stay in solution. In a deep water culture type hydroponic system the amount of dissolved oxygen is directly related to plant growth potential and the ability for the plants to absorb nutrition. 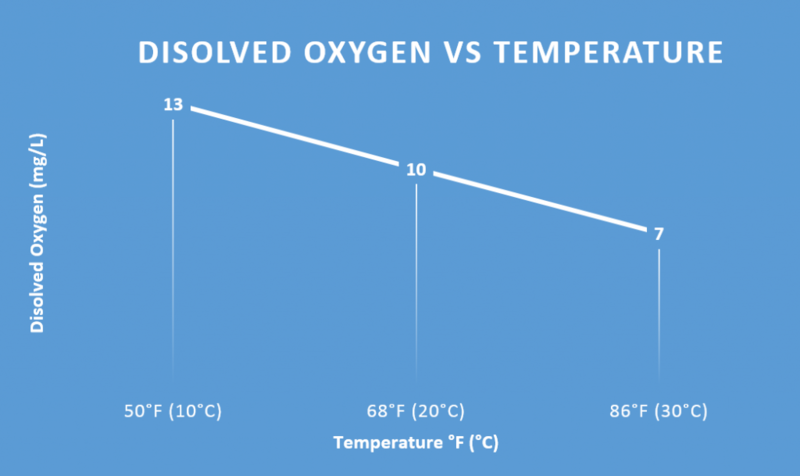 There is a roughly 3 mg/L drop in oxygen for every 18°F (10°C) degree rise in temperature of the water. This means that warmer water will carry less oxygen to your plants. Oxygen isn't the only concern for hydroponic gardens. Warmer water also has the added side effect of being a breeding ground for bacteria and fungus that are harmful to plants. Conversely, too cold of water will cause plants to start to shut down and not intake as many nutrients as they normally would. The ideal hydroponic temperature range is somewhere between 65°F (18°C) and 68°F (20°C) for truly optimal plant growth. Find the right hydroponic heaters and chillers for all your growing needs. Chillers are rated in horsepower (HP) and flow rate, usually in gallons per hour (GPH) or liter per hour (L/hr). It is important to chose a chiller that is rated for the size of hydroponic system you are using. Too small of a chiller will over work it and not produce the results you need in a timely manner, Likewise, too large of a chiller will not be as efficient for your system. How large Of A Chiller Do You Need? The formula is pretty simple. Simply cool your hydroponic system down to your desired temperature. This is best accomplished with bagged ice or other methods that will not add water volume to the system. Once at your desired temperature, remove the ice and allow your system to run for one hour with all lights and other sources of heat active in order to know how much energy the system has to compensate for. Number of gallons in your hydroponic system X 8.33 (specific weight of water at 68°F (20°C)) X temperature differential = BTU's required. You should give yourself a safety net and add 25% to this number. Lets say you have a 100 gallon hydroponic system. You want the ideal temperature to be 65°F. You cool your system down to 65°F through ice bags or any other method that doesn't effect the water volume. 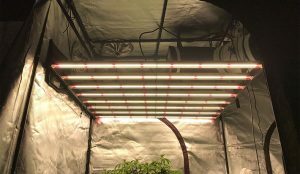 Once the system is cool, turn on your grow lights, humidifier, and any other devices that might run on a day to day basis that might add to the heat of the system and run it all for an hour. 100 gallons X 8.33 X 5 degrees = 4,165 BTU/hr. If we add the additional 25% (4165 X 1.25) we get 5206.25 BTU/hr. You can convert BTU/hr to tons of refrigerant or HP by dividing by 12,000. For example 5,206.25 / 12,000 BTU/hr = .43 tons or almost 1/2 HP. Table 1 shows common BTU/hr to tons of refrigeration or HP ratios. Most chiller units function over a range of reservoir sizes and cooling ranges. An example would be a given unit can cool 10 gallons of water 10-12°F, 20 gallons 6-8°F, and 40 gallons 3-4°F so knowing how much water you need to cool and by how much is the key. Ambient temperature will also effect how well a chiller can perform. Chillers in 90°F ambient air cannot chill as effectively as chillers in 70°F ambient air. For this reason it can be advantageous to locate your chiller unit outside of your grow tent or grow room in order to take advantage of cooler air temperatures. If you have never put one of these together, check out our full guide on how to install a hydroponic water chiller! Not all chiller units come with an internal pump. Some need an external pump to work correctly. It is important to size your pump to meet your needs and provide sufficient flow of water through the system. Make sure you consult your water chiller manual or product page in order to make sure you match your pump's throughput to your chiller's needs. Pumps can either be an inline pump, where water is moved from one location to the next or a sump pump where they sit at the bottom of your reservoir and pump water out. 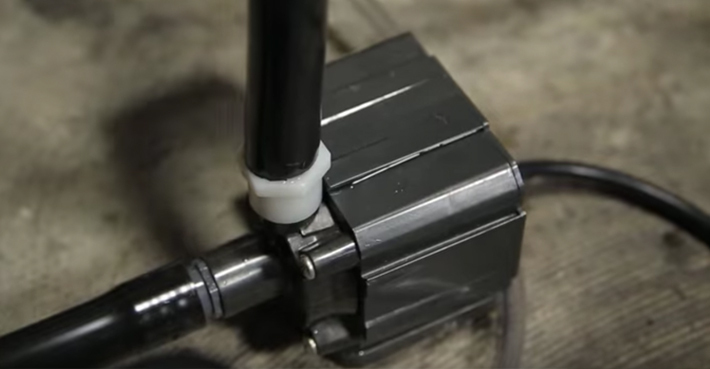 Consult your product overview to find out if a pump is needed or call our experts at 888-815-9763 or email support@hydrobuilder.com for all the details you need to know about specific systems. Most water heaters are submersible and reside in side your reservoir tank. They heat the water to a desired temperature and then shut off until the temperature drops. Water heaters are rated in watts and it is important to find one that will correctly heat the volume of water of your system. It is also important to place water heaters near the flow of water in order to circulate the water that they heat. 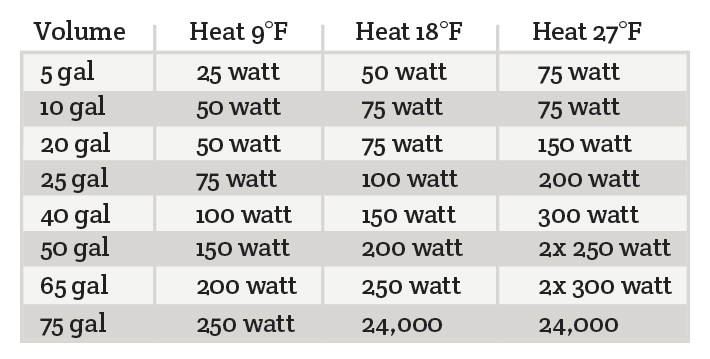 Table 2 shows heating differential temperatures vs system volumes and the required water heater wattage to make this change. 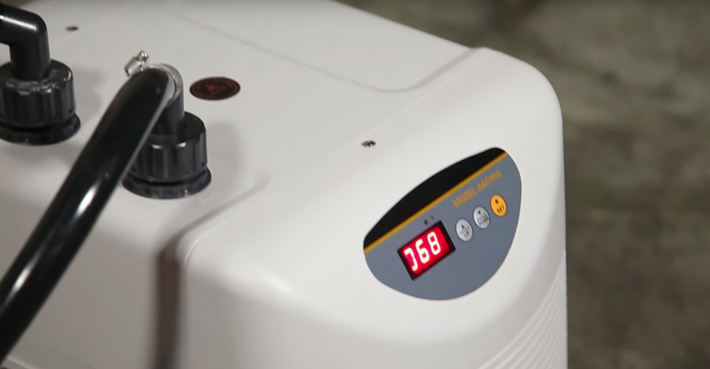 If your ambient room temperature is 50°F and you want to raise the water temperature of 50 gallons of water to 68°F (temperature change of 18°F) then you need a 200 watt water heater. It's always best to add a small percentage (25% to be safe) to this in order to account for temperature changes and to make sure your heater doesn't have to run all the time. In that case a 250 watt heater may be optimal.